Think of all the reasons not to like a large, luxury SUV. Thirst. Poor performance. Huge tax liabilities. Wobbly handling. Yet upper-middle class motorists still love them, patiently sure that one day, the brands involved would bring us something better. Something perhaps, like this - the second generation Mercedes GLE. 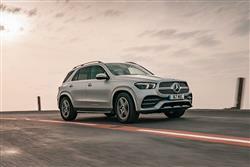 This contender sits at the heart of the large section of the luxury SUV segment, just above the brand's more compact Audi Q5 or BMW X3-sized GLC model. And just below the Range Rover-sized Mercedes GLS. As you might be aware, cars in this GLE's class tend to fall into two categories in their approach to likely buyers. Seven-seat practicality is favoured by SUVs like Land Rover's Discovery, Audi's Q7 and Volvo's XC90 - which is one way to go. As an alternative, contenders like BMW's X5, Porsche's Cayenne and Volkswagen's Touareg give you only five seats but offer more dynamic looks and agile handling. This Mercedes can now offer up to seven seats and hopes to appeal to both areas of this segment. There's a separate stylised GLE Coupe model still on sale, but that's based on the previous generation model and won't be replaced until 2020. There are four GLE engine options to begin with and most buyers are likely to choose the base diesel derivative, a 300d 4MATIC variant that features a 2.0-litre four-cylinder diesel engine, which produces 245hp and 500Nm of torque. It can travel from 0 to 62mph in 7.2 seconds and has a top speed of 140mph. Next up is the six cylinder diesel 350d 4MATIC, which offers 272hp, the same engine also available in 330hp guise in the GLE 400d 4MATIC. 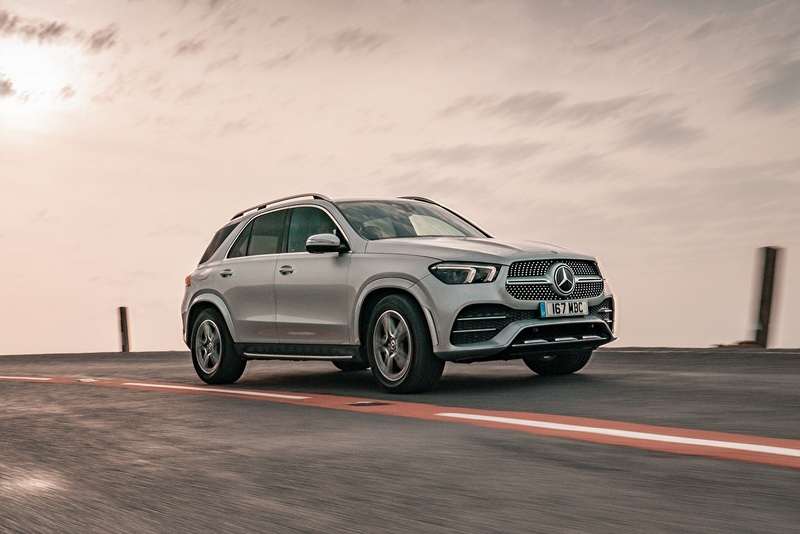 If petrol power is of more interest, there's an alternative GLE 450 4MATIC variant powered by a 3.0-litre six-cylinder petrol engine with EQ Boost, which has an output of 367hp and 500Nm of torque. EQ Boost uses a 48-volt onboard network with a belt-driven starter/alternator - the system adds 22hp to the car's overall output. It can sprint from 0 to 62mph in 5.7 seconds and has a top speed of 155mph. In all variants, power is transmitted via 9G-TRONIC automatic transmission. The broad ratio spread of gears allows for a clearly perceptible reduction in engine speed. Ride comfort and agility improvements are promised by the optional 48V E-ACTIVE BODY CONTROL suspension, which is combined with the optional AIRMATIC air suspension. This is the only system in the market where the spring and damping forces can be individually controlled at each wheel. This means that it not only counteracts body roll, but also pitching and squat. This second generation GLE has a much more purposeful look than its predecessor (which was really only a lightly facelifted version of the old M-Class). With this MK2 design, you get a longer wheelbase, short overhangs and large, flush-fitted wheels. There's also a very upright radiator grille and a purposefully-sculpted bonnet with two power domes. This GLE also cuts an athletic figure from the rear. This is particularly emphasised by the powerful shoulder muscle line extending from the C-pillar to the rear lights. Inside, the 80mm wheelbase increase makes the car feel much more spacious, but the first thing you'll probably notice at the front is that the designers have incorporated a couple of 12.3-inch TFT screens, one in the instrument binnacle and one in the centre of the dash that works with the new 'MBUX' voice-activated multimedia system. There's more space in the second row too - plus for the first time, a third seating row has been fitted into this car. When you're not using it, there's 825-litres of luggage space - or up to 2,055-litres if you can fold down all the seats. In conjunction with AIRMATIC air suspension, the vehicle's rear can be lowered by around 40 millimetres using a switch, for easier loading and unloading. There are in four mainstream models on offer and pricing kicks off with the GLE 300d 4MATIC diesel derivative - which costs around £56,000. Next up is the GLE 350d 4MATIC (around £61,000), with the GLE 400d 4MATIC costing around £63,500. 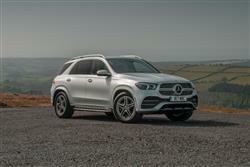 The GLE 450 4MATIC petrol version retails for around £62,500. Importantly, you can now have three seating rows in this car and, as you'd have a right to expect for the money being asked, it's very well equipped. All model's get the company's latest 'MBUX' multimedia system with 'Hey Mercedes' voice activation. Plus there a 12.3-inch widescreen virtual instrument binnacle display and a further 12.3-inch touchscreen centre-dash infotainment monitor. Other standard kit runs to blind spot assist, 20-inch five-twin-spoke AMG alloy wheels, illuminated grab handles, illuminated running boards, LED headlights with active high beam assist and privacy glass. Inside, there's anthracite open-pore oak wood trim with Nappa leather upholstery. And a mirror package including automatic dimming for the driver's exterior mirror and the rear-view mirror, plus logo projection onto the ground when you open the door at night. You also get heated front seats, a parking package including active parking assist, automatic two-zone climate control and traffic sign assist. Many customers will want to pay extra on the 300d for AIRMATIC air suspension (which is standard on the '450' petrol version). A long list of camera-driven safety features are now included, including 'Active Steering Assist' and 'Active Distance Assist', plus an 'Active Distance Assist DISTRONIC' feature that gives a degree of autonomous driving. 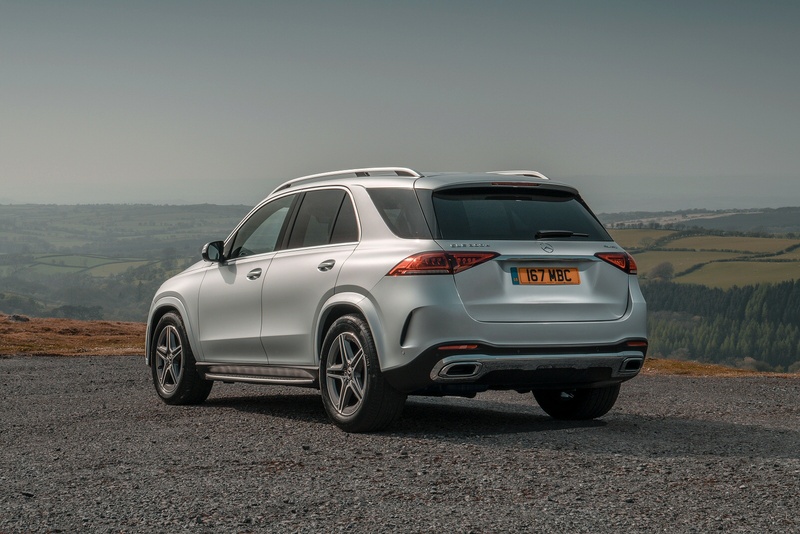 Mercedes quotes a figure of 46.3mpg (combined cycle) with emissions of 162g/km for the GLE 300d diesel, with the GLE 350d and GLE 400d V6 diesel variants managing 40.4mpg and 184g/km. 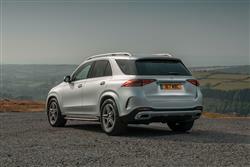 The GLE 450 petrol variant manages up to 33.6 mpg on the combined cycle and emits 191g/km of CO2. What else? Well, we'll tell you that the comprehensive three year warranty is built upon by Mercedes' Mobilo scheme which delivers breakdown cover for up to thirty years, as long as you continue to have your car serviced at a Mercedes main dealer. And it's worth knowing that your maintenance outlay can be kept a little in check by going for the optional Service Care package that takes care of routine maintenance, spreading the cost of regular servicing, guaranteeing the price of parts and labour for up to four services and covering the cost of all recommended service items such as brake fluid, spark plugs, air filters, fuel filters and screen wash. There's also an ASSYST dashboard service indicator that monitors engine use and tells you exactly when a garage visit is due. It's also worth mentioning that the 'Mercedes me' remote online services package that comes as part of the infotainment system includes remote self-diagnostic capability, enabling your GLE to monitor wear and tear items and alert your local dealer to let you know if something needs seeing to. If you�re looking for a new Mercedes-AMG GLE Coupe GLE 43 4Matic Night Edition 5dr 9G-Tronic Petrol Estate for sale, you�ve come to the right place. 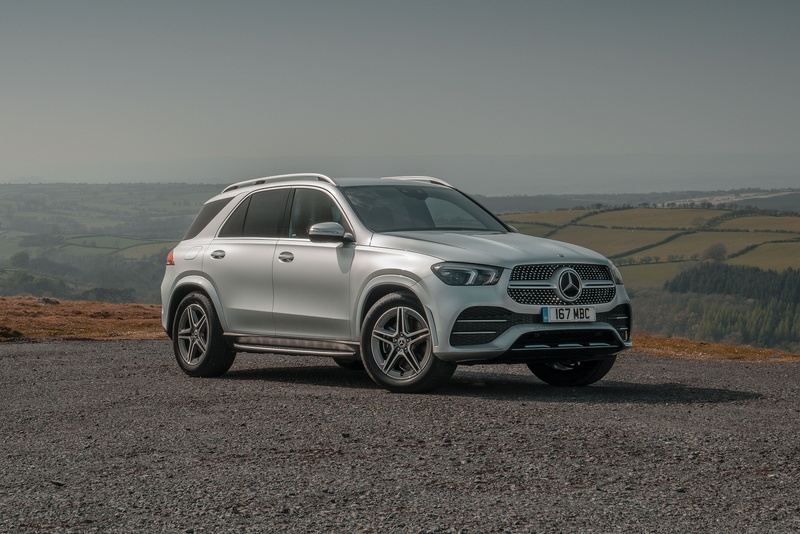 At Bristol Street Motors we don�t just have the best Mercedes-AMG GLE Coupe GLE 43 4Matic Night Edition 5dr 9G-Tronic Petrol Estate deals, we also offer friendly advice and help with all your enquiries to ensure your buying experience is a happy experience.